Location, comfortable rooms and friendly staff. Directly across the street from the bus & train station. Very silent night though due to good windows! Clean and spacious room, complimentary water & gummi bears (and a pair of ear plugs per person!!!) :-) Very comfortable beds with two different pillows to choose from. Very friendly and helpful staff, also very dog-friendly, and very family friendly. In the hall, there is a a machine with sodas and beer and you can leave your name on a list and pay when you leave. Very convenient. Breakfast was okay. Nothing spectacular, but we had cereals, coffee, bread and rolls, a small selection of cheese and cold cuts, fruit, vegetables. A plus: the excellent smoothies selection. There was three different freshly made smoothies to choose from plus extra juices. For the really low price that we paid for the night, everything was just great! 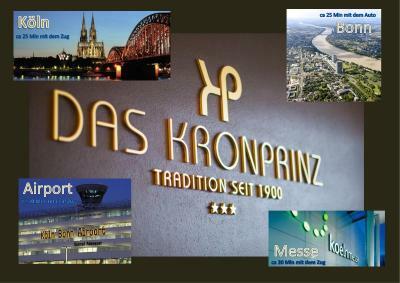 Breakfast, Cleaness, Personel, District I strongly recommend this hotel to everyone who wants to visit Cologne by car. Also there is train station just in front of the hotel. Breakfast, and especially the smoothies, was fantastic. Incredible value for money. Staff was really friendly. The room that were had was huge (501) and the trek to get up there was well worth the effort. 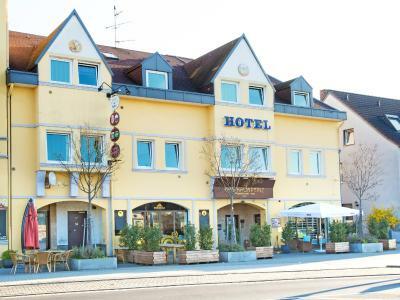 The staff were very helpful, the breakfast selection was excellent and even though the hotel is situated just across the road from a bus and train station, we were not disturbed at all by any background noise. Very convenient for (cheap) travel to the wonderful city of Cologne. Super nice hotel, they go the extra mile to help you and the breakfast is absolutely amazing!